28" Universal D-Ring Sunglo Collar. We have fit tested these collars to work with the Garmin TT15, TT10, the Garmin T5 as well as the Garmin Astro DC50 collars. These collars are also made to fit the Tri-Tronics EXP Collars. 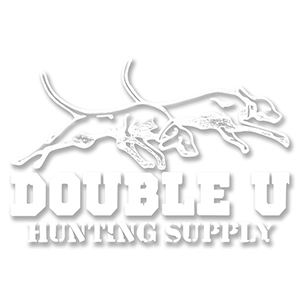 Double U Hunting Supply has more color options with our 28" Universal D-Ring Sunglo/Dayglo style collar than any other shop. will fit dogs necks from 12" to 27" sizing may vary slightly Simply Cut the strap to trim off the excess collar once you place it on your dog. If you're buying this collar and need a name plate we include one with take home rivets for free. If you need different information put on each name plate, either write us a note as a gift message in your shopping cart, or order each color separately.